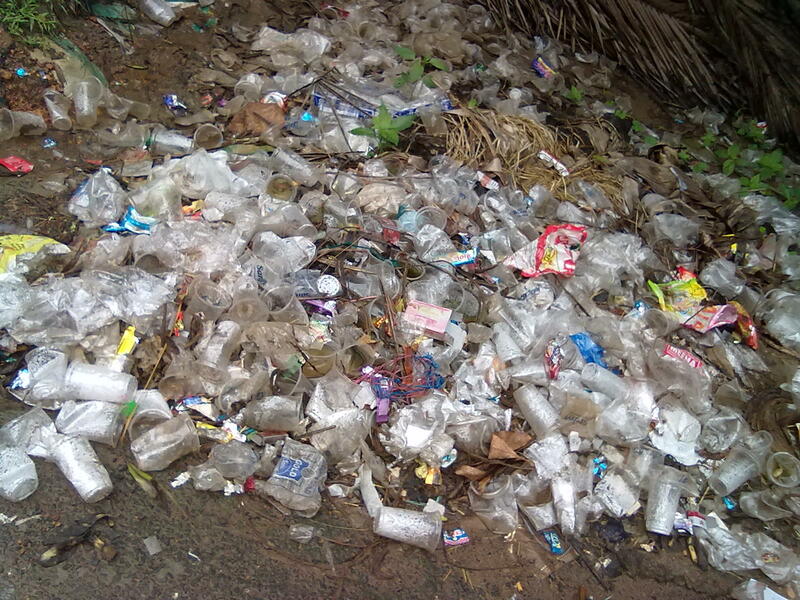 Plastic waste at Batlapalem, Andra Pradesh. Plastic waste takes 500 years to degrade. The Guardian. 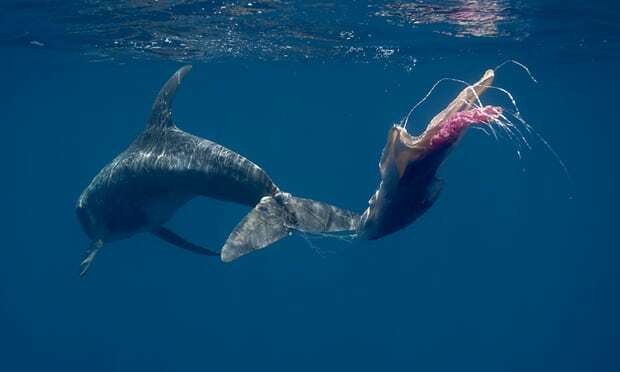 Dolphin tangled in a plastic bag. The Guardian. Just 5% of waste plastic is recycled all over the world, and by 2053 new plastics will have consumed 20% of all oil production, according to Ellen MacArthur Foundation. Avoiding plastic waste to flood the oceans is not only a means to keep world-wide marine fauna: it is also a matter of human health. 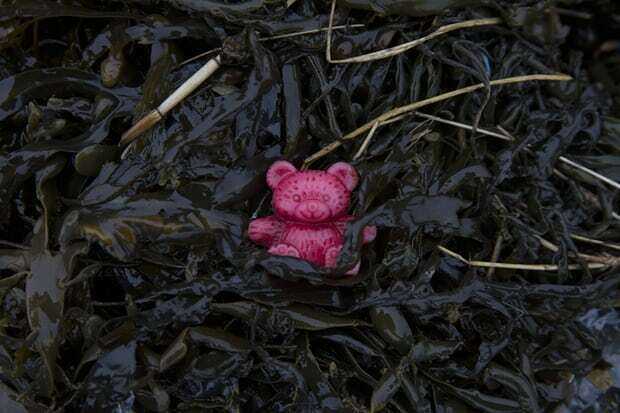 According to GreenPeace, which launched a campaign against single-use plastics and another one to turn the Arctic into a huge internationally protected area, microplastics are found in 2/3 of sea water. The abundance of microplastic is due to the material’s hardness: you use a small plastic water once and it doesn’t degrade until 500 hundred years later. In the never-ending process of degrading, microplastics starts spreading, and this has a negative impact on marine animals’ health and on humans’ health too. Unless we as a global society take urgent steps to change it, in 50 years our oceans could easily be filled with more plastics than fishes. This is why an executive EU committee is shaping a law that will tax the single-use plastics and invest € 350 m in research. In the context of the law that will be implemented in 2020, EU member states will be legally urged to cut their marine litter and to label all plastic products in a very exact way. As the vice-president of the European Comission Frans Timmermans states, one of the difficulties is to make citizens aware of the fact that in 5 years we will all have less colourful bottles at hand. It is important to spread the habit of using paper, glass or other reusable materials. The other side of this story is that, in the face of growing pollution, China has recently banned Europe from throwing its plastic waste in the ocean. The Asian country seems to take environmental issues a bit more seriously than they did, and the European Union can longer export its 25 annual tonnes of plastic waste. There is another factor apparently no connected to the environment which must be taken into account: the Brexit. With the Brexit, the EU will have a huge financial gap it needs to fill. A clever option is to cover this future lack of income with the increased taxes on single-use plastic wrapping and packages.